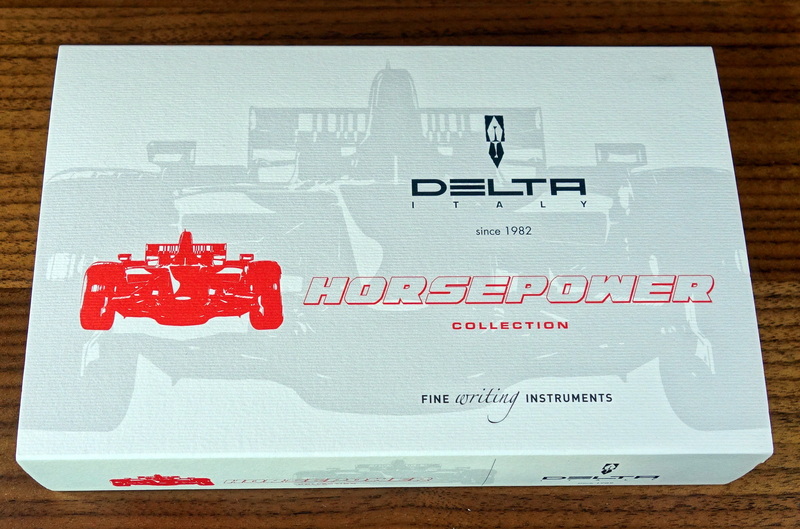 The Delta Horsepower is the first Delta pen I have had my hands on and I have to say that I am impressed. Thank you to my new friends at Pen Chalet for the opportunity to test this beautiful pen. 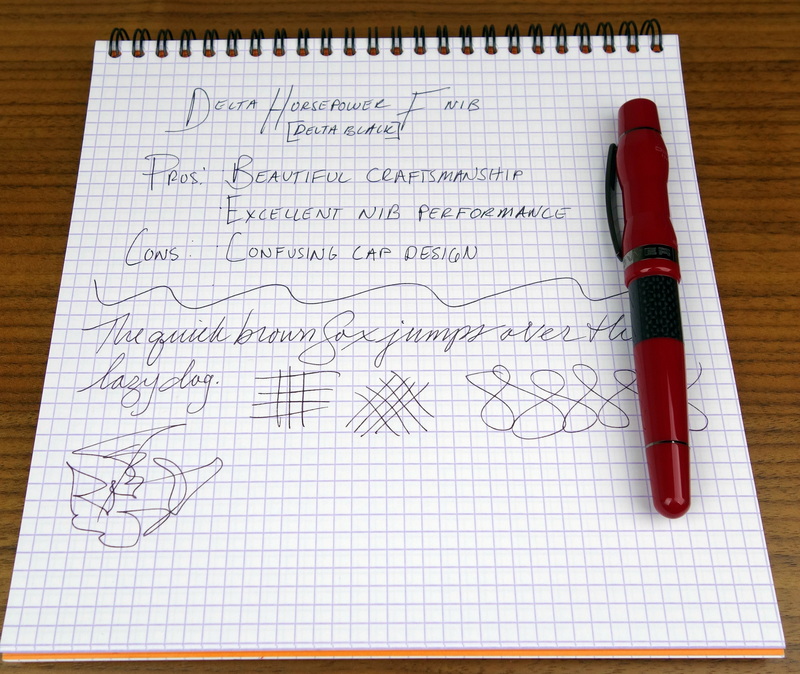 The fit and finish is a real stand out on this pen; it is excellent. 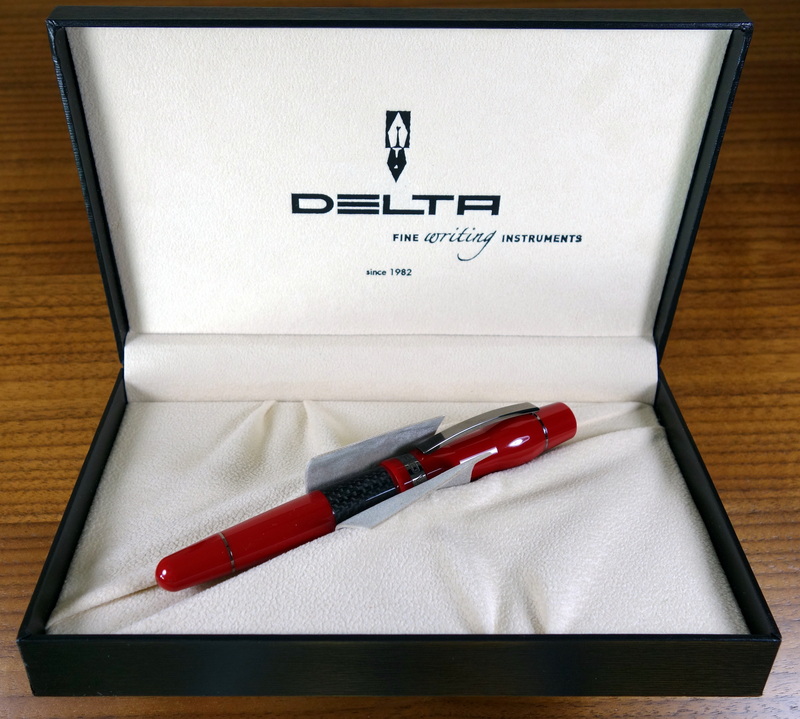 The Delta paperwork states that the pen is entirely made in Italy. The resin body is hand turned from a solid rod and polished by hand. 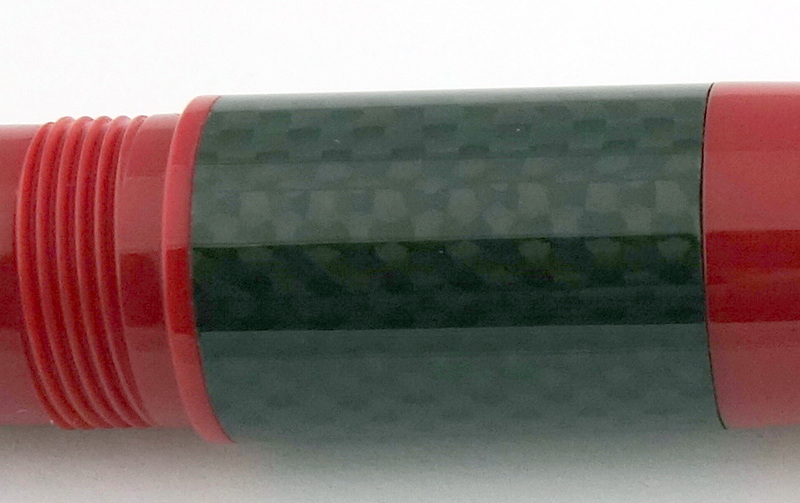 It doesn’t look or feel like the cheap plastic that many similarly priced pens are made of. Lots of paperwork. It’s nice to have an guarantee card with a serial number. I think you and I are of the same mind in that in this price range a gold nib should be standard. It is hard for me to part with the street value of this pen ,which I like, with a steel nib. Thanks for an excellent review, brthr Shirl. Thank you for your comment Shirley! I do normally prefer gold nibs over fancy bodies but I think it really depends on what you want. 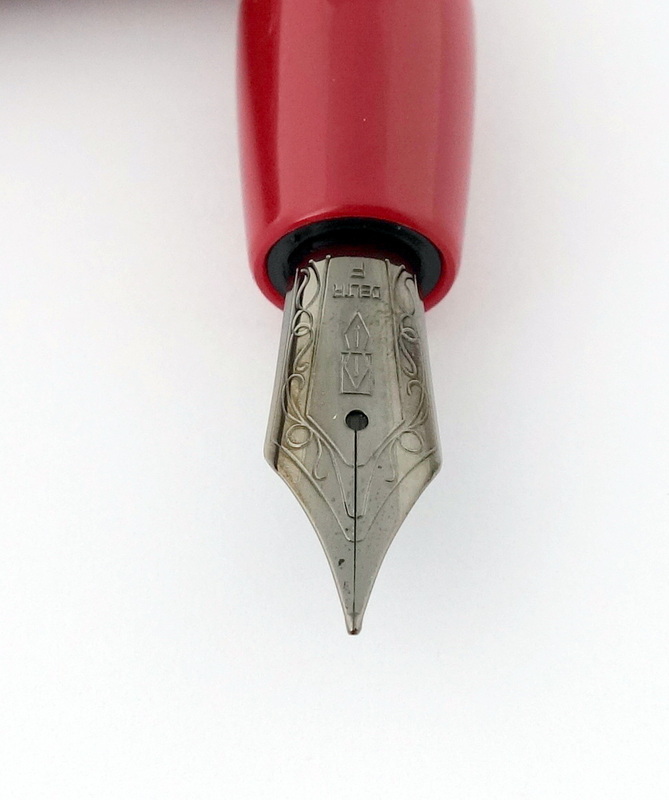 You can get pleasure out of using a pen as beautifully made as the Horsepower and I also know you can get pleasure from using a soft gold nib like you might find on a Platinum 3776, which has a completely boring design and a plasticy body. Great review. I just got lucky enough to purchase one of these. I was wondering if you thought a gold nib exchange might change the overall characteristics of this pen. Thank you for your comment! 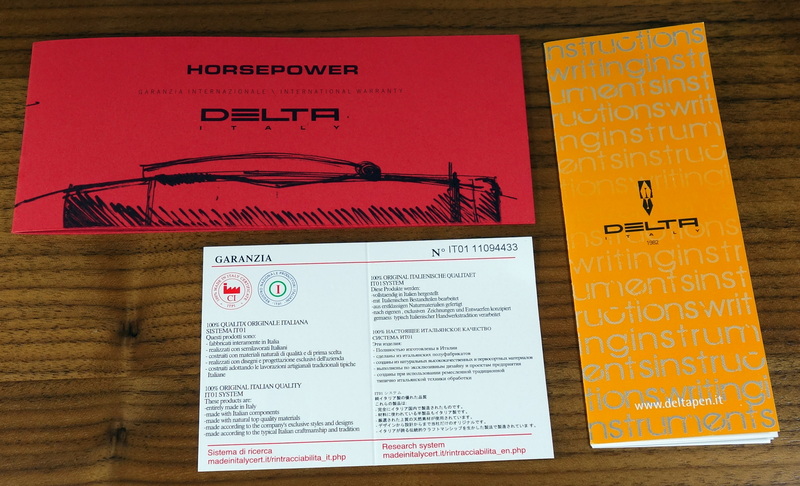 I don’t have a lot of experience with Delta’s gold nibs so I could not say; however, the steel nib on the Horsepower is really good so I personally wouldn’t swap it.